Here's a look at three specialist dictionaries. Although we definitely don't want to urge anybody into unnecessary spending, one or two of them might be perfect for some students. To back up what was said in our earlier post about buying books for study; if you only buy one book, get a good pocket dictionary. If a second; get a big dictionary. If a third, get a grammar. After that, well, I personally would recommend a verb book. Ja niin edelleen. And so on. However, after checking out a variety of textbooks spotted in bookshops in Finland, and squandering money on a few of them, I've actually found myself making use of these three dictionaries, and I think it's worth drawing a student's attention to them. Oikeeta suomee Suomen puhekieli sanakirja (Vesa Jarva, Timo Nurmi 2009 Gummerus) is devoted to puhekieli, ie. 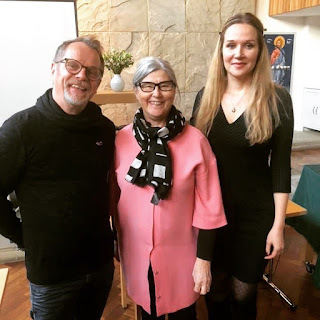 spoken Finnish. It's definitely worth considering, or maybe another book doing the same job - I haven't seen one, but there must be others. Spoken Finnish can seem very different to written or 'book' Finnish. It's very much more than just 'slang'. To many, it's almost a different language. Not so, but it's true that puhekieli makes use of a large vocabulary which isn't acknowledged in formal dictionaries. 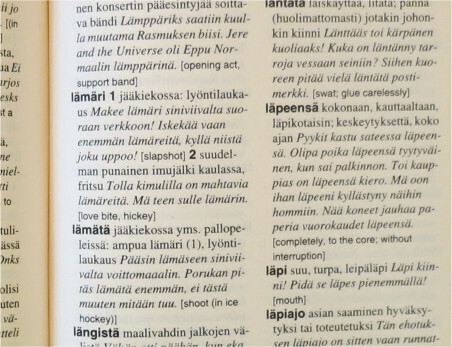 Here is a sample page, featuring a word I'm very familiar with from following ice hockey, which yet is missing from my big dictionary, lämäri = slapshot. And also, as I now discover, 'love bite'. Notice that although the text is mainly in Finnish, you can follow it with a little knowledge of the language, and a short translation in English is given at the end of each entry. A sort of a warning: there was a group of us who found this book, along with some other similar looking Gummerus volumes. There was a Finnish lady nearby who was helpful answering some questions we had; she picked up one of the other volumes and recoiled in shock, saying something on the lines of 'Oh no don't buy that one!' It was a dictionary of bad language. If you didn't already know, Finnish has a rich vocabulary of swear words, just like English. It's up to you... but I would respectfully suggest that the puhekieli sanakirja is more useful. 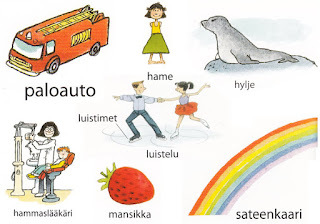 Suomen kielen sanakirja maahanmuuttajille (Anne Saarikalle, Johanna Viikuna 2010 Gummerus) = Finnish language dictionary for immigrants. It's a simple dictionary, listing around 3,500 words. You may think it's contradictory, that it's entirely in Finnish. However, it comes into its own when used in parallel with language study. The pages aren't dense with text unlike a normal dictionary. 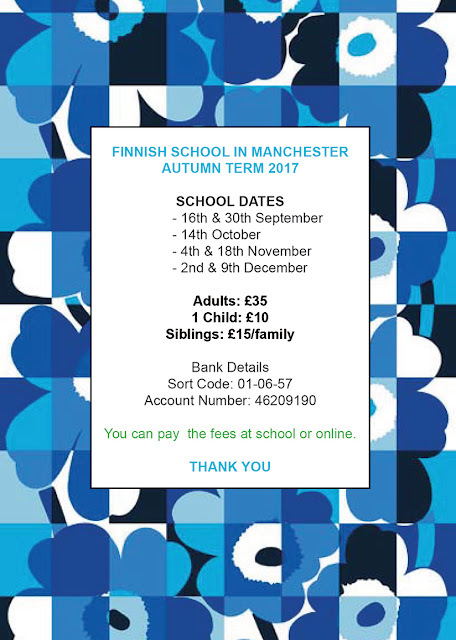 Best of all, the definitions are expressed in fairly simple Finnish, at a level you may well be approaching in your studies. Examples of usage are also provided. See the examples here on the right - do you find it fairly straightforward, to grasp that a nimikirjoitus is a signature? 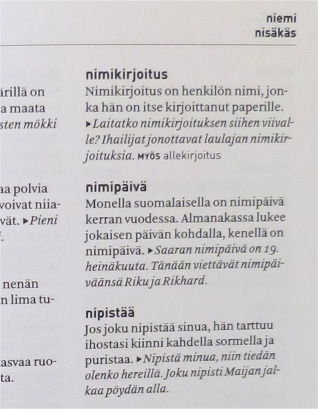 Nimipäivä is also simply explained, but you can also appreciate a dictionary's limitations, when it comes to cultural differences - the concept of a 'name day' is unknown here in the UK. Overall, it's done quite well, I think, and it encourages you to browse further. I find I don't necessarily pick this book up to look up a word in the first place, but occasionally, when I want some alternative clear explanations. 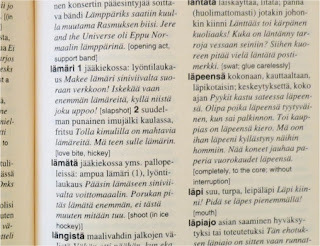 Finnish Dictionary for the language learner (Zsuzsanna Oinas 2007 Finnlibri). At last - you may say! - we're being recommended a book in English. Yes, it is indeed. But what's this about, when we probably already have a Finnish Dictionary. Ah ha, this one's different. Instead of listing words alphabetically, it's organised according to theme and subject matter. It offers phrases as well as words, 13,000 or so. So, as you can see here below right, it groups together a whole variety of different sorts of greeting. And the variations go far enough to teach you something about nuance and tone, about how to express yourself in different situations. Elsewhere, we receive a powerful boost to our vocabularies, answering needs we either knew we had, or maybe didn't. At last, I find in one place a list of the words for all the different kinds of berry. Of which there are many :) It's worth pointing out that this is something that kuvasanakirioita = picture dictionaries do, up to a point, but never so comprehensively, and they tend not to offer much about social themes, abstract topics etc., which this book does very well. With this book, you need not be too intimidated by newspaper articles, even political ones. And with the way it's arranged, you could probably open it at a particular 3/4 page section and find all the new words there. If you need to go to the doctor, there are 14 pages on health and fitness. And if it doesn't go so well, there's a page and a bit about death and funerals. Joking apart, the book conveys a feeling of being very comprehensive, and a subject would have to be very 'niche' to be absent. I make no apologies for recommending yet another book by this author. And no, I have received no kickbacks for doing so! This is the nearest thing I've yet found to something I've searched for in every Finnish bookshop I've visited, namely a Finnish thesaurus. In the English speaking world we have any number of clones of the famous Roget's Thesaurus - ie. a vocabulary resource which organises words according to theme and meaning, rather than alphabetically. It's a kind of book which would be useful in any language, and I'm baffled that I haven't found a Finnish one yet. But until that happens, Zsuzsanna Oinas' book will do.